Last week, the New York Times reported that it would investigate “race-based discrimination” due to affirmative action in college admissions, referring to cases of discrimination against Asian Americans in Harvard University’s admissions. Research has shown that 64% of Asian Americans support affirmative action, but the administration is highlighting cases of a few AAPIs to advance an anti-affirmative action agenda. 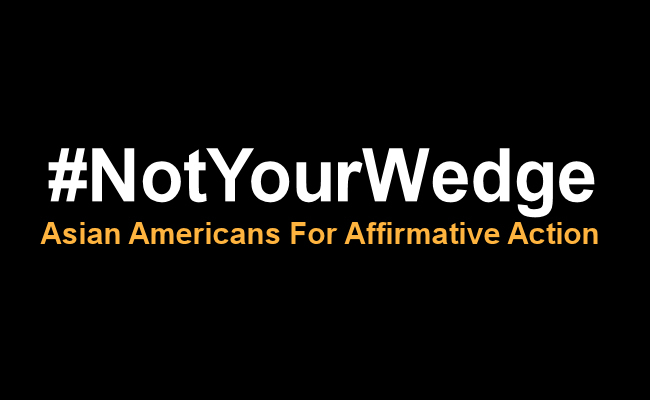 On Tuesday evening, AAPI advocacy groups took to twitter and social media to respond, using the hashtag #NotYourWedge. Learn about the history of affirmative action law and why the DOJ investigation matters at Vox. On Tuesday, an immigration judge issued deportation relief for a third member of the eight Cambodian Americans in Minnesota detained by U.S. Immigrations and Customs Enforcement (ICE). Sameth Nhean, like many refugees from Cambodia, was born in a Thai refugee camp when his family fled the Cambodian Khmer Rouge before moving to the U.S. at a young age. 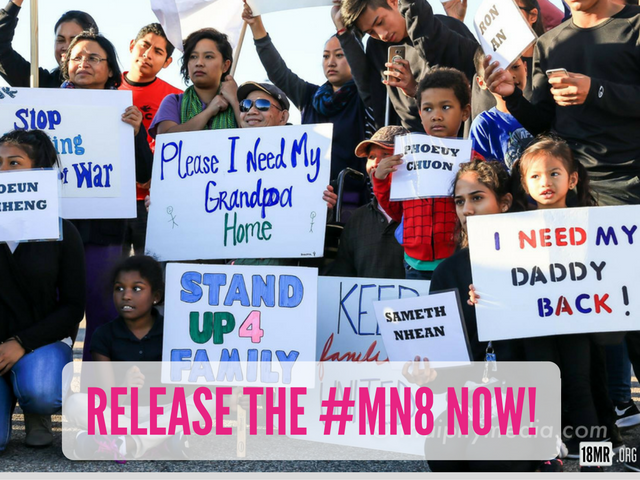 Due to the 1996 Immigration laws that have enabled widespread detention and deportation, Sameth Nhean was detained for a crime committed fifteen years ago and for which he had already served his time. Nevertheless, the Department of Homeland Security issued orders for him to be deported to Cambodia, where Nhean has never even been. An immigration judge on Tuesday granted Nhean a waiver that canceled his deportation after a year of being detained and separated from his family. However, the Trump administration plans to appeal the decision. Detentions of Southeast Asians not only put detainees--who are mostly male--through an unjust immigration system, they also cause immense trauma to the spouses of detainees, tear families apart, and devastatingly impact the economic security of families. September 27-29: Asian Pacific Islander American Health Forum’s conference VOICES 2017. Register here! September 29-30: Asian & Pacific Islander American Scholarship Fund’s (APIASF) convening Summit: Elevate. Learn more and Register here! Join the March for Black Women on September 30th in Washington, D.C.!